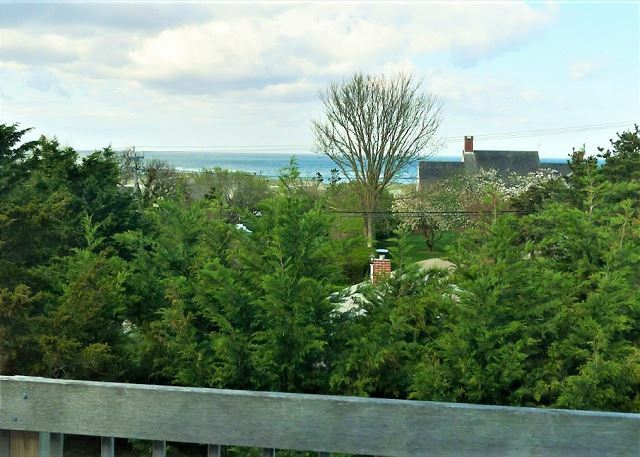 NAUSET HEIGHTS, ORLEANS SUMMER VACATION HOME.Water views of Nauset Beach and inlet and short distance to Priscilla Landing Beach from this 3 level home that sleeps 6 guests. This immaculate home features modern comforts and an open design. 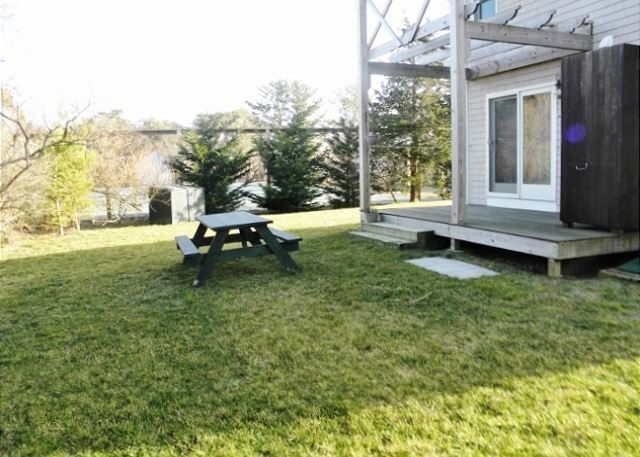 The main level offers a living, dining and kitchen area that includes a half bathroom. 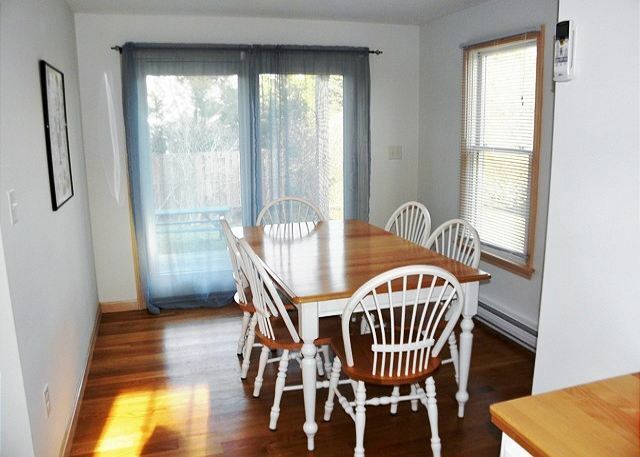 The galley style kitchen has granite, stainless appliances, microwave, dish washer, drip coffee maker, toaster, and lobster pot. 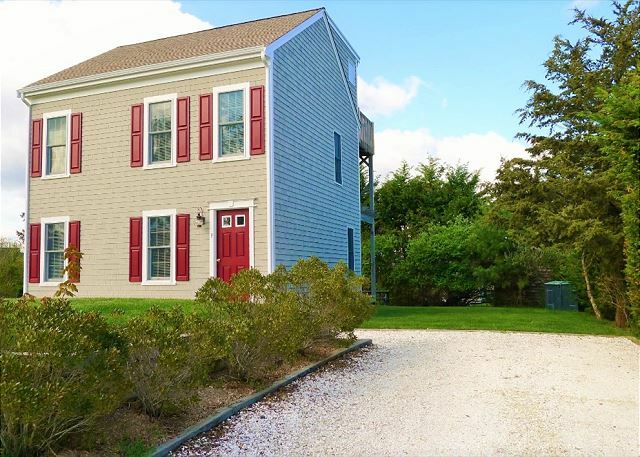 Additional features include Wi-Fi, wood floors, 1 full and 2 half bathrooms, 2 decks, air conditioning in all main rooms, including bedrooms (wall units), enclosed outdoor shower, and pleasant yard. 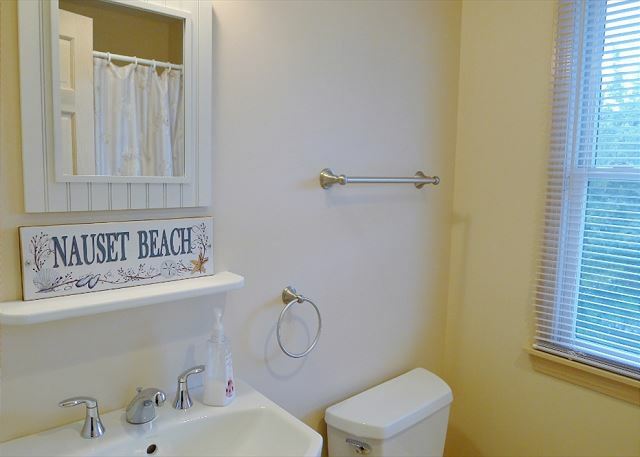 All located in the much loved beach community of Nauset Heights. 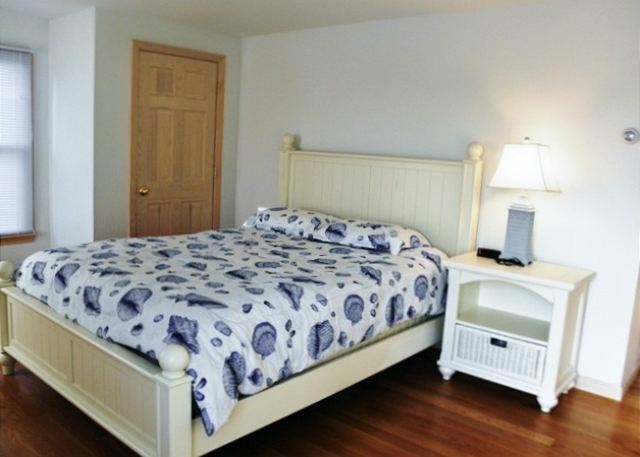 The bedrooms begin on the second level with 1 Queen bedroom, a 2nd bedroom with 1 Twin bed, and a full bathroom in the hallway. 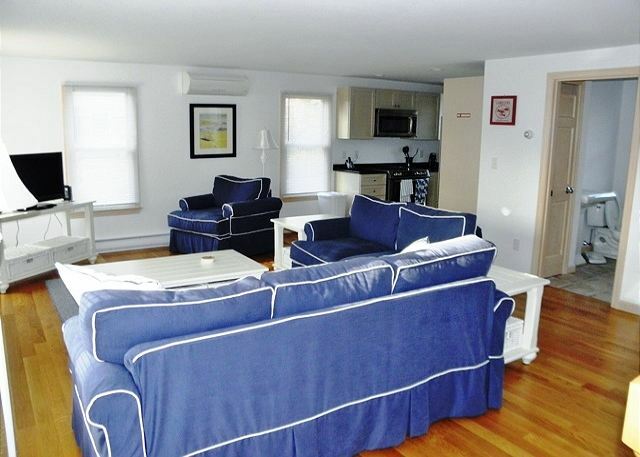 The 3rd level has a sitting area with flat screen TV, water view deck, a 1/2 bathroom, and 3 Twin beds. Travel insurance is highly recommended and affordable coverage to protect your vacation investment. This was our 3rd year at this property. 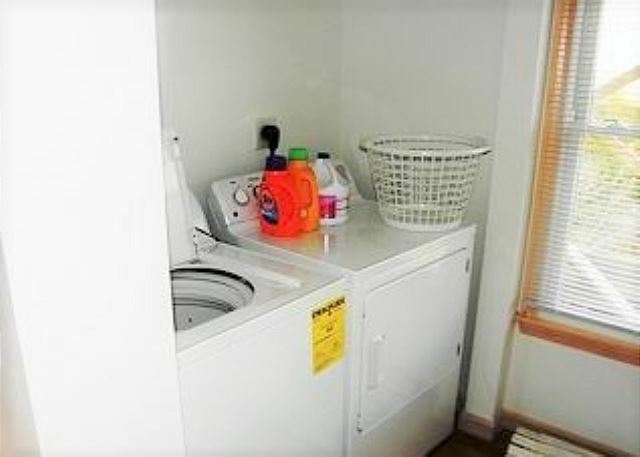 Very clean and great location. 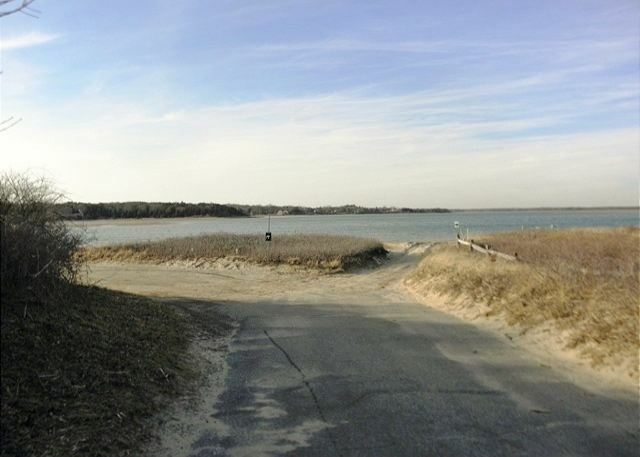 Nauset Heights is a lovely area- convenient to the beach and Priscilla landing.